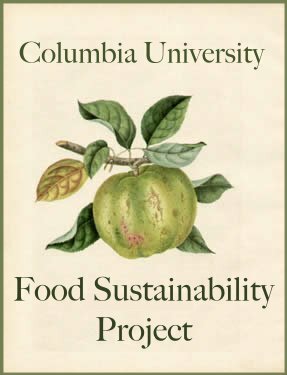 The Columbia University Food Sustainability Project supports the development of a just food system. To learn more about the Columbia Community Garden or for general CUFSP inquiries, contact Taylor Dunne: td2324@columbia.edu; for Morningside Heights CSA, contact morningsideheightscsa@gmail.com; and direct inquiries regarding the public housing garden to grantcommunitygarden@gmail.com. We welcome all community members to participate in CUFSP initiatives! Most importantly, Slow Food is excited about the Youth Program taking place as part of the conference. They are still looking for BYTs who are leaders in sustainable food groups around the country (this means you!) to participate. To get involved, contact Gordon Jenkins (gordon/at/slowfoodnation.org.) It promises to be an exciting and inspiring event, with lots of great tastings, wonderful speakers, and even a Victory Garden. If you are in New York and would like to get a head start on Slow Food Nation contact me (timothy.minerd/at/gmail.com) and I'd be happy to put you in touch with Slow Food's national office. They are headquartered in Brooklyn, and would love to see a Columbia presence at the event. Saturday 10:30am, but feel free to show up before or after. We will be clearing LOTS of weeds in anticipation of a real farmer coming to do a site analysis on Sunday, to give us some advice for future planting. I'll also be buying more starts at the Union Square Greenmarket Saturday morning, and anyone is welcome to join me for that--meet at 8:30am at the Columbia gates (I'll be doing a little market shopping as well, which I highly recommend to anyone who hasn't experienced the Union Square Greenmarket). Don't forget to BRING YOUR COMPOSTABLES and NEWSPAPER Saturday so we can start the compost bin. We might also be making a few signs, and we will move one of the benches beneath the tree in the back of the west plot and carve out a little path to it. Also, Megan McNally, the Morningside Heights CSA manager, reports that there are still plenty of available shares for this fall. If you are interested in a CSA share--in which you pay up front for weekly deliveries of fresh produce from a local NY State farmer for 8 weeks in September and October--email Megan: megan.mcnally@gmail.com. Pick-ups will take place on Thursdays at JJ's place beneath John Jay Dining Hall on the Columbia campus. Hope to see you Saturday! Eat the herbs! this is a cool company! Want to know the weather at our garden?